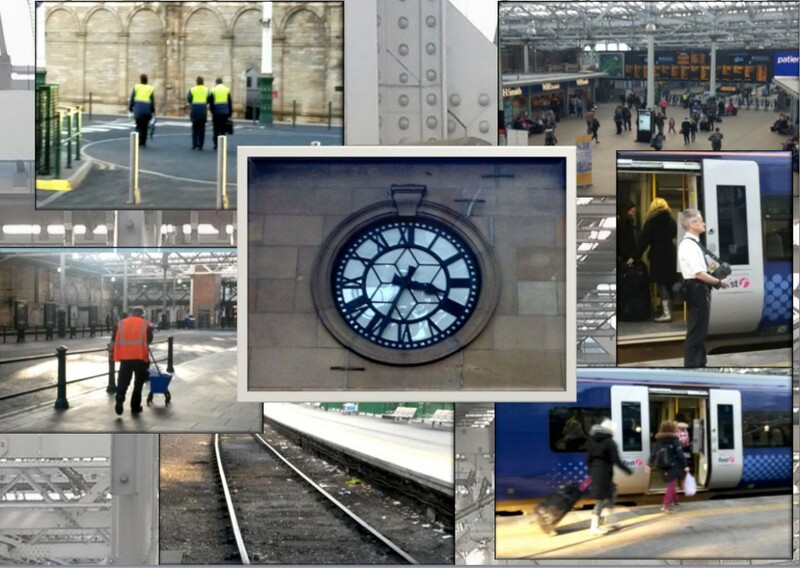 What is it that usually comes to mind when we think of a railway station? Ever since childhood we tend to associate it with something exciting, with new adventures, the discoveries of new destinations…We excitedly hold our breath at the sound of wheels and the departure announcements, in anticipation of a new long journey to the unknown, leaving the routine of our everyday life behind. Coming to a railway station without any particular purpose, like it was in our case, allows you to see its life from a rather different perspective. Like a true flaneur, the hero of Walter Benjamin’s stories, you wander around watching trains arrive and depart, you see people quickly checking the timatable, rushing to catch the train, counting minutes towards the departure, haste, lugagge, ticket controll, doors…Another train leaves and the station becomes empty again, cleaners appear to sweep out the rubbish, ticket controllers return into the main building. Then the whole cycle repeats again and again, until the day is over. Everything around is subject to time, the relentlessly ticking clock on the entrance wall that determines everything.